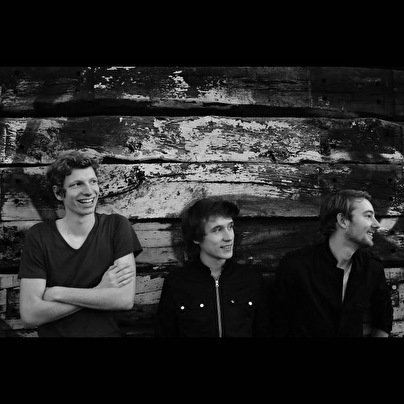 Stillwave was formed by Michaël van Putten, Marcel Jongejan and Adriaan Hogervorst in Utrecht, the Netherlands. Their sound is a mix of alternative, new wave, post-punk and shoegaze. Stillwave creates an innovative mix of guitars drenched in reverb, characteristic vocals and powerful drums, combined with electronics and synthesizers. They have played over 50 shows at renowned venues. With their live shows they quickly found an audience that shares in their experience of letting go of so many things that matter so little in order to grab a hold of the few things that matter so much. At the end of 2013, Stillwave started the recordings for their new eponymous EP. The EP will be released on May 22nd at EKKO, Utrecht. The EP was recorded with Matthijs Kievit in Studio Joneski, an enormous hangar that is especially fitting for our music. The spaciousness of the studio has added to the grand sound that characterizes the entire record. On December 18th, 2013, Stillwave released the first single, Callow. Callow was immediately picked up by numerous blogs (A Music Blog, Yeah; Something You Said; Right Chord Music). The accompanying video was filmed in their hometown, Utrecht. Set in one of the iconic 12th century cellars, the video features a spoof on the modern day club scene. The single and video were released on December 18, 2013. The second single Modes of Transport will be released in April. Once again shot in Utrecht, the accompanying video features each of the band members wearing a body-mounted camera (also known as a SnorriCam). The SnorriCam allows for an unusual sense of vertigo for the viewer, thereby isolating the band from their surroundings. Both singles will feature on the forthcoming EP.